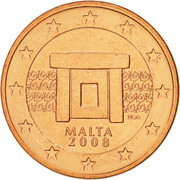 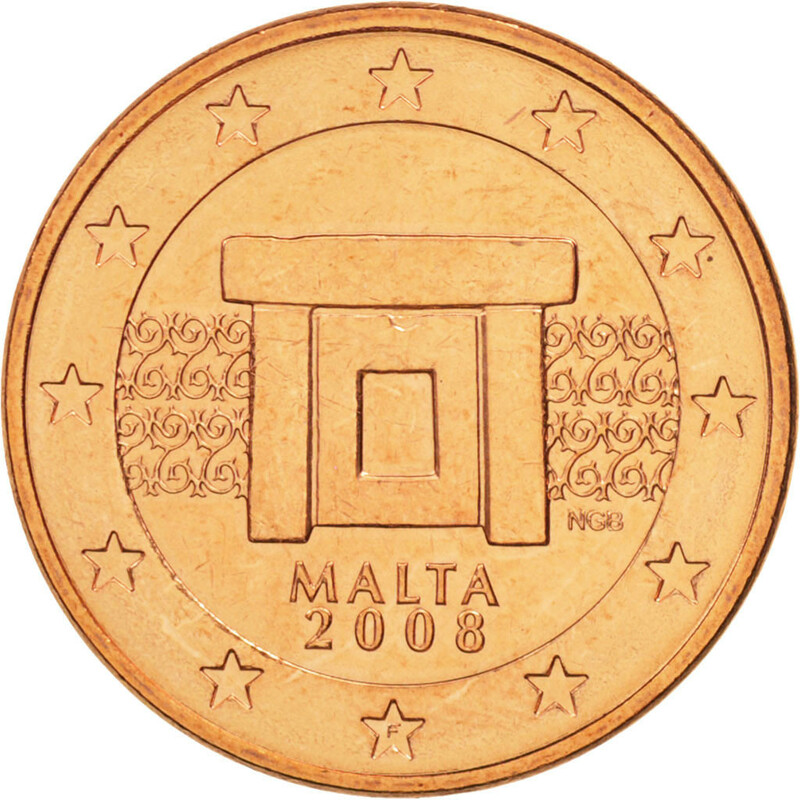 The coin features the Mnajdra Temple Altar and the inscription Malta & the year (2008) below it. 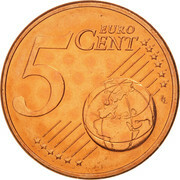 Left: The numeral 5 and the inscription EURO CENT. 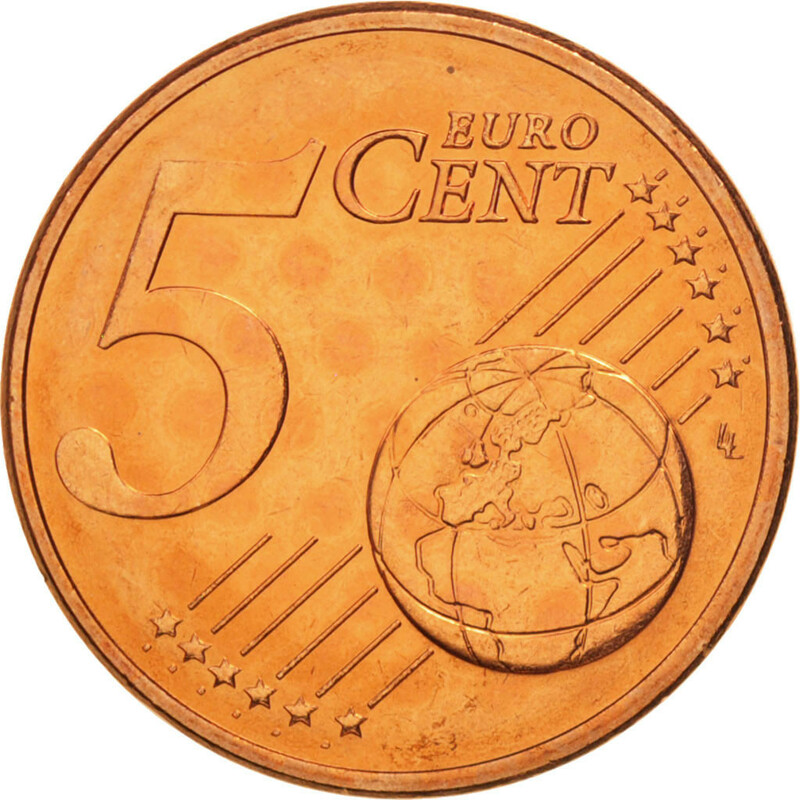 Right: The coin shows Europe in relation to Africa and Asia on a globe with 6 Radiating stars each on either side.